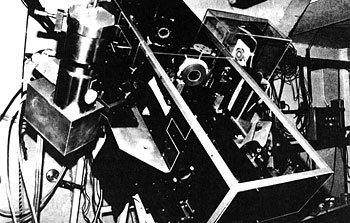 26 October 1989: An old dream of ground-based astronomers has finally come true, thanks to the joint development of a revolutionary new technique, adaptive optics, by ESO and ONERA , LdM  and Observatoire de Paris in France. ESO Contract for Polishing of VLT Mirror Blanks Goes to R.E.O.S.C. 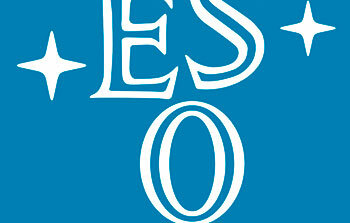 25 July 1989: The European Southern Observatory and R.E.O.S.C. Optique (Recherches et études d'optique et de sciences connexes), located at Ballainvilliers near Paris, France, have reached agreement on a contract for the polishing of four giant mirror blanks for the ESO Very Large Telescope (VLT) (see eso8717 and eso8808). 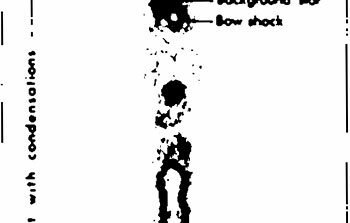 6 July 1989: Recent studies at the European Southern Observatory indicate that the formation of a new star is a dramatic process which may be more complex than most astronomers believed only a few years ago. 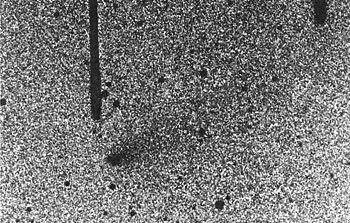 30 May 1989: On May 11, 1989, Richard M. West at the ESO Headquarters in Garching, Fed.Rep.Germany, found a new comet in a photographic plate obtained on March 14 by night assistant Guido Pizarro with the 1-m Schmidt at the ESO La Silla Observatory. The blue-sensitive plate was exposed during 60 minutes and was centered in the southern constellation of Libra. 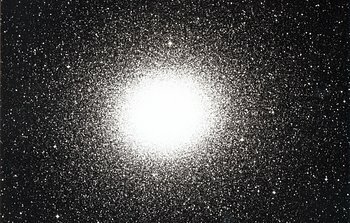 11 May 1989: "First Light" with the ESO New Technology Telescope (NTT) was obtained on March 23, 1989 (eso8903) during conditions of exceptionally good "seeing'' and the first images are probably the sharpest ever obtained with a large, ground-based telescope. 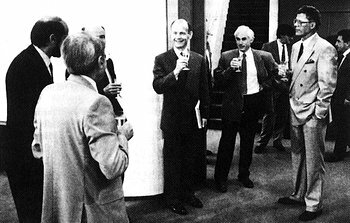 A full account of the associated events will appear in the June 1989 issue of the ESO Messenger. 23 March 1989: Early this morning, and during superb atmospheric conditions, the 3.5 m ESO New Technology Telescope (NTT) produced its first astronomical images. They completely satisfy the high expectations towards this revolutionary high-tech telescope, the first of its kind in the world. This important milestone was passed less than seven years after the start of the NTT project in 1982 and at the end of a four-year construction phase (various aspects of the New Technology Telescope have been described in eso8801 and eso8805). Is There a Pulsar in Supernova 1987A? 24 February 1989: A recent announcement of the discovery of a pulsar in Supernova 1987A in the Large Magellanic Cloud has excited the world-wide astronomical community. New observations at the La Silla Observatory by a group of European astronomers from the Max Planck Institute for Extraterrestrial Physics and the European Southern Observatory, however, do not confirm the reality of this object. More observations are now needed to settle this important question. 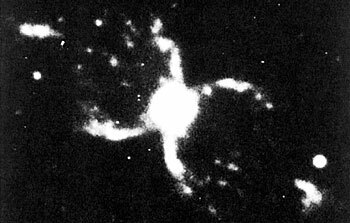 30 January 1989: Everybody knows the Crab Nebula - that famous object in the northern constellation Taurus (The Bull). It is the remnant of a supernova explosion in the year 1054 and has been studied with all available astronomical techniques. But this nebula does not really resemble the animal whose name it carries! 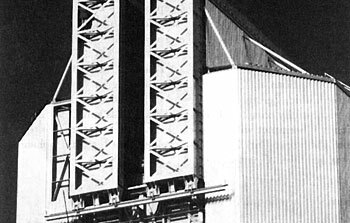 Whoever attached this name to it by the middle of the last century must have had a well developed imagination. Now a "real crab'' has been discovered, a nebula in the southern constellation of Centaurus (The Centaur), which from its appearance on recent pictures made with telescopes at the La Silla Observatory would seem to have more right to associate with crustaceans. To avoid confusion, astronomers now refer to the new object as the "Southern Crab".